Sun and blue skies all year round, nearby mountains (often snow capped), lakes, forests and beaches, the most beautiful winemaking region in New Zealand – this is Nelson. Still frosty winters, long dry summers, cool autumn nights combined with the highest sunshine hours in New Zealand – this is Nelson. 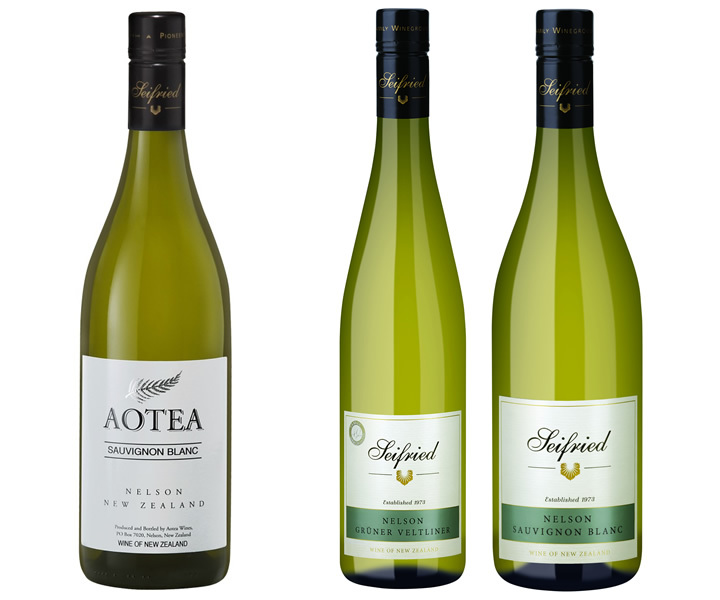 The Seifried family have been making stylish food-friendly wines since 1976. The range includes rich full Chardonnays, fine floral Rieslings, lively Sauvignon Blancs, warm plummy Pinot Noirs and intensely delicious dessert wines.